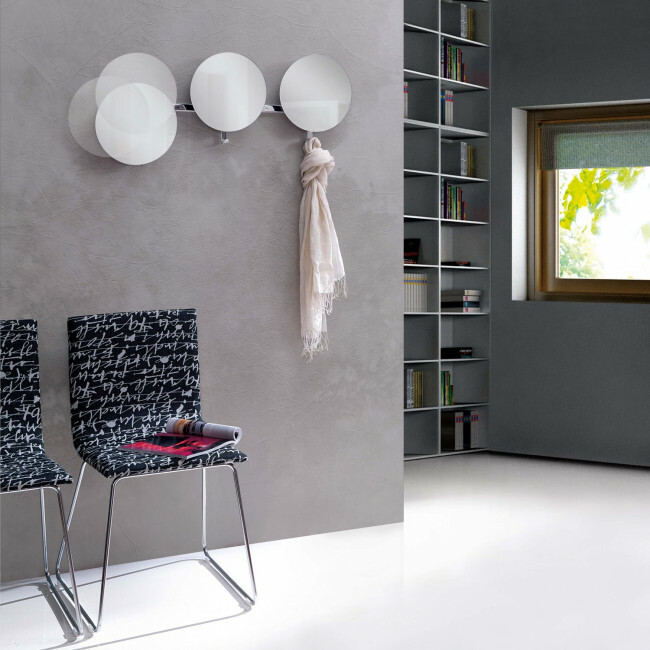 Lady is a composition of three hallway mirrors with integrated hooks: a multifunctional solution also ideal inside other environments. 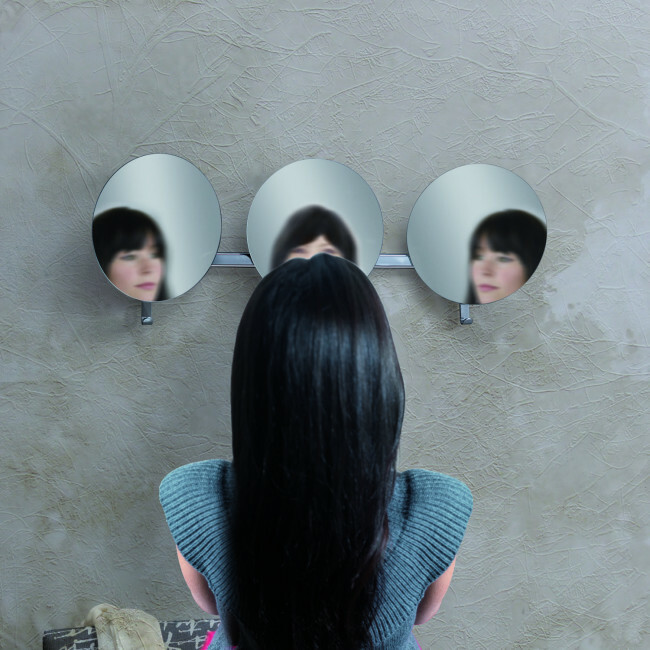 The combination of mirrors and hooks make Lady an useful item also for the bedroom and the bathroom. 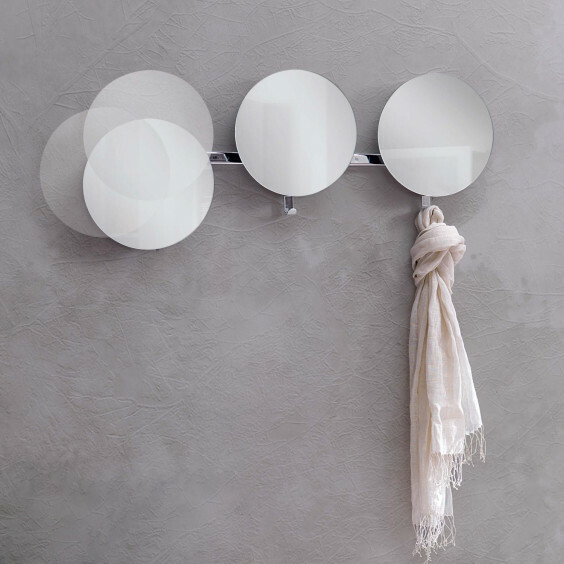 The hooks are particularly useful for the hallway to hang coats and scarves; on the other hand, the three mirrors become a tie holder or a place where to hang necklaces. Lady finds its suitable place also inside the bathroom in a single mirror version. The hallway mirrors rotate on the back pivot allowing to conceal the hooks when needed. 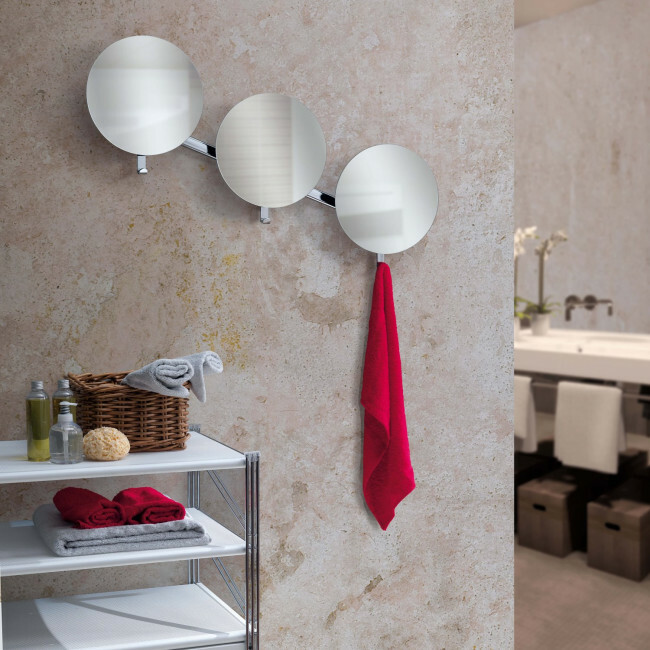 Mirrors: equipped with rotating junctionto conceal the hooks placed on the back. Lady hallway mirrors are ideal to furnish the hallway of the house, but also the bedroom and the bathroom.